Andrea: Mike, you’ve got some great thoughts on Talas’s view of marriage, vs Smith’s view of marriage. It’s more than just an older way of viewing marriage verses our contemporary way of dating and looking for Mr or Mrs Right. You wanna talk about that a little? Do you think Talas settled when she suggested marriage to Smith? Michael: Um, putting me on the spot much? I was just thinking that maybe love means more when you don’t have many choices and you learn to work with and love your partner. Maybe we, today, have it easier than we realize. I did not marry an illiterate, Tolkien hating, gamer hating, xenophobic woman. I chose to marry someone of the same values and similar hobbies as mine. Talas is willing to see the positive about Smith without knowing if he likes the Beatles or the Stones. Maybe that is not desperation but being more grown up than many of us are ever called to be. Did you like the new bride’s and why or why not? Andrea: I really liked Talas. I didn’t connect so much to the twins I think because they are so much younger than I am. I like darker stories that have consequences, and Talas’s story sure fits into that category. The twins live a very carefree life (and good for them, that their parents can provide that! ), mostly involving scoping out possible husbands and avoiding chores. Michael: Do you feel that the art and attention to detail have been kept up with these volumes? Andrea: I love that every family and village has different cloth patterns! Mori-sensei’s artistic focus is a little different in these volumes, because the locale has changed. We’re not in a home full of carved columns and embroidery, so she doesn’t include that kind of details. But the scenes between Talas and her MiL are just perfect – those ladies might not say a word, you can tell from the look on their faces exactly what is going on. 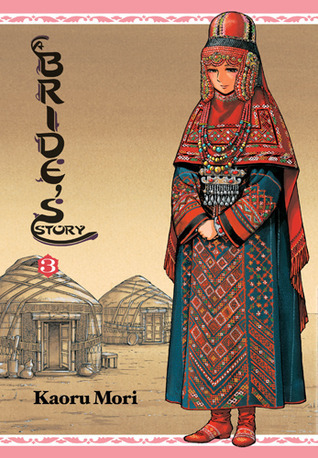 I loved the detail that goes into Talas’s clothing, all the scarves and wraps. Talas’s head wraps seem to have two long pieces on the sides. 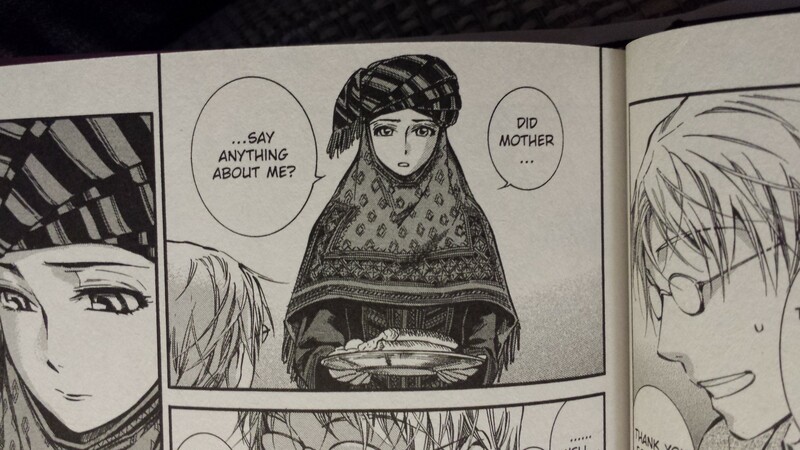 Is her headwrap just a modified Robe, and the long pieces are sleeves?? Mike, you’re the historian in the house, would garments have been used for different things like that? One day you wear it as a robe, and the next day as a headdress? Michael: I have no fricken’ idea. Sorry. Andrea: Weren’t the chapters on food awesome? I loved the scene in the marketplace. 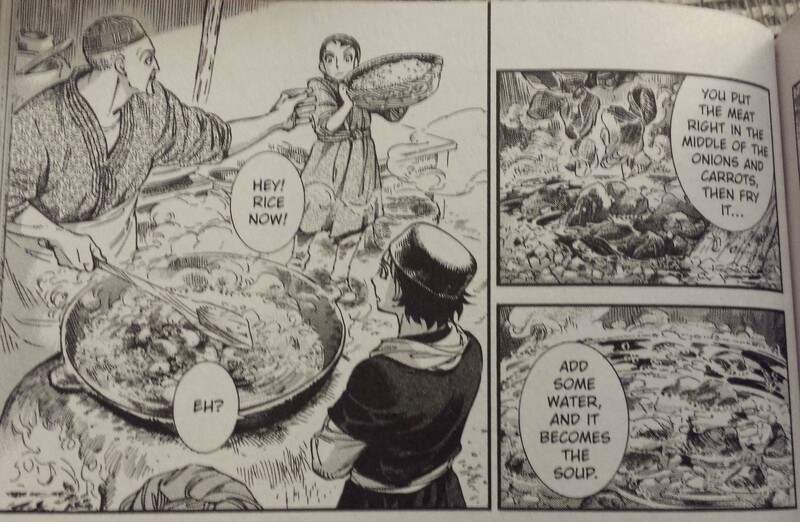 What do you think about how much attention Mori-sensei puts on food and food preparation? Michael: Because I am a fan boy I watched a Japanese talk show where Mori-sensei cooked a number of dishes from these books, and she discussed with the hosts how she would not add a dish to the books until she learned how to cook it herself. 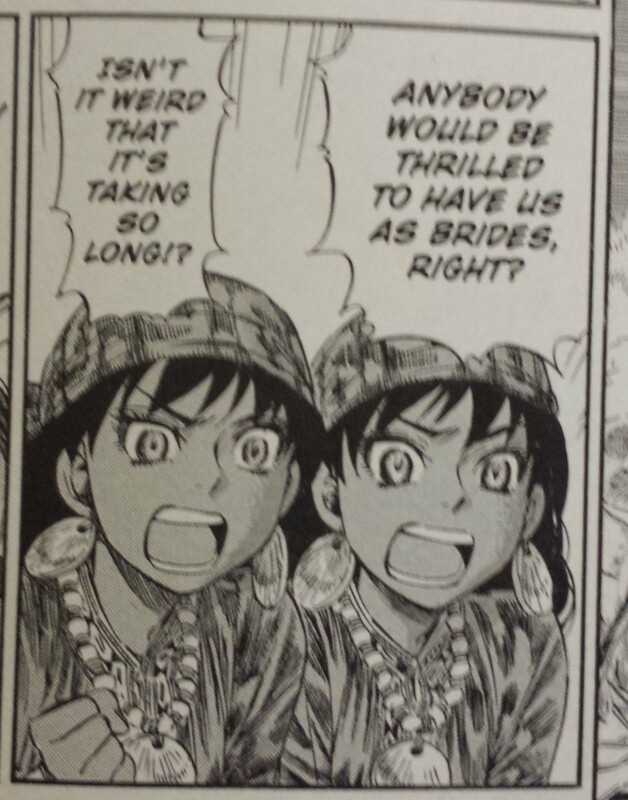 Andrea: They make something in the Manga that’s similar to something we make. Makes me want to put raisins and carrots in our Turkish Beef and Apricot Rice pilaf and see how it turns out. Michael: How did you feel about Smith’s dilemma at the end of his section? Andrea: Such a clash of cultures! I already answered this a little bit earlier, but his British view of how one chooses a life partner is so very different from how families in Central Asia make that decision. I’m not saying one way is right and one is wrong, they are just different. But imagine if he did marry her. Would he become a sheep herder? Stay there forever? Would he be happy? I don’t think so. And if they got married and she traveled with him and eventually went home with him to England? She’s never seen so many people in her life, and the lifestyle there is not at all what she’s used to, or what she was brought up to expect. Would she be happy? I don’t think so. It’s really too bad, they’d make a great couple, but I don’t think they’d be happy in the long run. Makes me feel bad for both of them. I was so emotionally invested with Talas and Smith that it was tough to turn those emotions off and get excited for new characters. Andrea: We haven’t talked about the twins, Laila and Leily very much. These girls are marriage crazy, and think it’s a piece of cake for their parents to find them the perfect (rich) husbands. They do all sorts of crazy things to get the attentions of young marriageable men, everything from hitting guys with fishes to tying their headscarf to loosely. After Talas’s story, what did you think of all this lighthearted humor? Is it so lighthearted because the girls are so young and maybe don’t understand what they might be facing? Michael: I love the twins, they are fun, silly and so unromantic it is romantic! The potential groom ambushing was some of the funniest stuff I have ever read. I do not think the twins story is too lighthearted, I think they are young, from a family that if not rich, never is short of food, with loving parents so they have not lived through the hard times like Talas or even to an extent like Amir. As someone who loves learning, I loved that through all of the twins hijinks we learn about marriage customs, livelihoods, gender roles, clothing, food and we have yet another amazing grandmother. 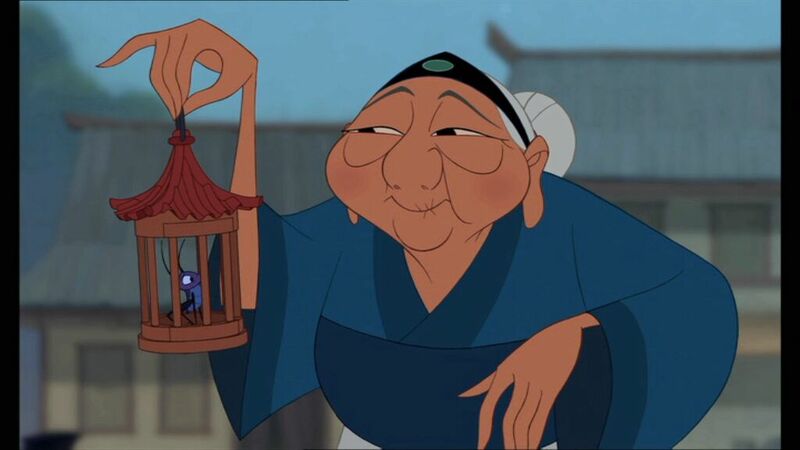 Andrea: Yeah, grandma always steals the show, doesn’t she? 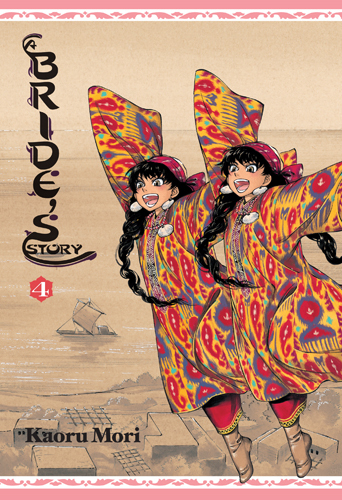 3 Responses to "Kaoru Mori’s Bride’s Story, Volumes 3 and 4"
I really like these joint reviews!